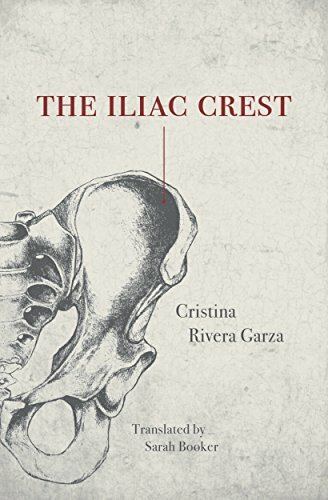 Cristina Rivera Garza’s The Iliac Crest is one of the most fascinating novels I’ve read in years—utterly weird yet deeply resonant in its portrayal of gendered violence. On October 30th, Rivera Garza, Chavisa Woods, and I will meet to discuss the transgressive power of queer horror stories at the Mid-Manhattan Library at 42nd Street. In anticipation of that conversation, I spoke with Rivera Garza over email about the relationship between language and sanity, crossing both literal and literary borderlands, and transforming people of note—in this case, Mexican author Amparo Dávila–into fictional characters. Samantha Hunt: In The Iliac Crest you create a new language, though in the book, the language seems to be less a creation, more an emergence. It appears the way a gathering of mushrooms might spring forth after rain. Central to this language is the word glu. I understand glu to have something to do with water and accordingly the word’s meaning remains liquid. Can I ask what glu means to you? Of course you don’t have to answer this directly. I only long to hear your thoughts around language creation and the mutability of words. Cristina Rivera Garza: Books, real books, produce and reproduce language. Or better yet: they constitute themselves in the territory in which the emergence—the constant emergences—of languages both private and social is thoroughly recreated, registered, and documented. Many have said it before me, but I´d like to repeat it: language is the place of our sociality. We are never lonely in language. We inscribe ourselves in traditions we might agree with or not, so it is always better to be aware of this and position ourselves accordingly. We become social, too, in and through language. The two female characters speaking glu glu—you´re right, the liquid tonality (at least in Spanish) of these letters and, especially, vowels, is central to it—convey both their intimacy and their complicity—can you have one without the other? SH: What is the relationship between language and sanity? CRG: I spent entire years reading and analyzing the files of a large insane asylum—the famous or infamous La Castañeda, out of which grew my first novel No One Will See Me Cry—from 1910 (the year of the outbreak of the Mexican Revolution) to the 1930s, when the early post-revolutionary regime attempted to reconfigure the modern nation. I read insanity there—what these distinct medical and political regimes termed insanity, in any case. Poor men and women from both urban and rural areas of Mexico struggled there to define their condition, often accommodating to the ear of proto-psychiatrists of that time. In those contorted, highly negotiated dialogues surged what came to be known as insanity, and its evil twin: sanity, the other name for modernity. The insane seldom forgot to include their social background through carefully crafted stories in which suffering took a prominent role. You might as well say that sanity, at least in terms of the linguistic exchange taking place within asylum grounds, meant eschewing these experiences—which were an implicit criticism to the causes of their misfortune—out of diagnoses, which by doing so became medical. So, here you have it, language and sanity mediated by concrete relationships of power developing in very tangible circumstances. Something similar happens with language as it becomes Literature (note the capital L), or not. I am prone to the vanishing points. SH: The ocean, rain, and clouds are very present in The Iliac Crest. The book’s concern with language and its setting (a psychiatric hospital) create an atmosphere that is psychological, a realm of the mind. Yet, you title the book The Iliac Crest, a reference to the skeletal body. This bone becomes the sight of seduction and attraction to the narrator. How does this book of ideas, of thoughts, find residence in the skeleton? CRG: Unlike writing that unfolds according to arguments or ideas (as in traditional academic writing, for example), creative writing is bound to bodies. And, as anthropologist Gastón Gordillo once said as he investigated sites of multiple devastation in northern Argentina: bones are the most intimate of all ruins. I am interested in the thisness of my materials. An utter or extreme materiality of sorts. I see myself as someone creating spaces in language in which rubble—non-glamorous ruins—may speak for itself, bringing its pastness with it. In a country in which bodies are made to forcefully disappear, a skeleton is a last remnant of the material life—and a material truth—it held. It all comes down to it. SH: Amparo Dávila, a Mexican writer whose work is often described as uncanny, is all but unheard of in America. She’s transformed into not just one character in The Iliac Crest, but more than one. Some of her fictional characters even appear in The Iliac Crest. What does it mean to have multiple Amparo Dávilas? CRG: Many years ago, when I was a young reader, I came across a haunting short story: “The Guest.” I lost that book and forgot the name of the author, but never quite managed to forget the story. Unnerving and hard to classify, the story became a kind of subtext to what I wrote at that time. Years later, as I was starting what became The Iliac Crest, the story—by Amparo Dávilas, it turned out—came back to me as a gift. A friend mailed the book from Mexico to the United States out of the blue. I realized then that the story was real and not a figment of my imagination. I knew that Amparo Dávila had to become a character of my novel right there and then. I believe “The Guest” was published in English a while ago; and recent translations by Matthew Gleeson have been published in The Paris Review. But you´re right, Dávila’s work remains to be fully accounted for in English—and in Spanish too. That quality of her work—and her being—is replicated in the many young Amparo Dávilas that roam in that area of the body known as The Iliac Crest. SH: The Iliac Crest is full of gorgeous language. How do you write? What is primary to your process? Is there a hierarchy (i.e, beautiful language, character, plot, a personal game or joy)? CRG: We all tell stories, at times beautifully, but writers are bound to extricate from them a knowledge—a critical knowledge—to go beyond limits established by the powers that be. As everybody else I am hostage to daily stimuli from my social and natural environment, but I work with those I cannot normalize. The enigma has to be strong and deep enough to keep me from swimming or chatting and sending me directly to writing instead. For years, at times. I believe what Marguerite Duras used to say (I am quoting from the top of my head): writing is what we´d write in case we write. The role of the present and the use of subjunctive—at least in the original phrase in French—underline the aleatory and implacable nature of what we do. I write thus to get to know my materials, and once there, in the process, I try to follow them as closely as I can, as organically too. Language, the specific language for each book, emerges from this operation. As far as I can tell, you know. SH: The book moves beyond borders in so many ways. Life and death are difficult to discern, genders shift, the sane turn insane by a stroke of words. As a citizen of the borderlands yourself, what does border mean to you? CRG: I was born on the border—between Matamoros and Brownsville, cities on the edges of Tamaulipas and Texas, respectively—and have lived on the border much of my life—20 years between Tijuana and San Diego, for example. I’ve gotten used to eye borders wherever I go, even in places we assume there are none. But they exist—borders of race, language, class, among others. The difference with geo-political borders is that inescapable pair of questions: Who are you? And where are the documents to prove it? Crossing borders, a practice in which so many of us engage across geographies and throughout history, has become a privilege over time. Recent talk about the wall between Mexico and United States is but an example of discrimination and injustice, not to mention plain stupidity. That’s why it is so important for writing to attempt to cross borders, be it borders of genre or language (between Spanish and English, for instance), but also larger borders about, for example, our uneven access to the common good. SH: Sarah Booker translated The Iliac Crest. Did you ever consider doing the translation yourself? CRG: I have the greatest admiration and respect for the work translators do. If it is true that writing—true writing—is always written first in translation, then it follows that we all have a bit of the translating bug in ourselves. I have tried my luck at translation and have enjoyed the journey tremendously. But I usually translate works written by others, especially when I am convinced that a translation may take a conversation throughout borders and expand it into new realms. Would you believe me that I find the idea of translating myself redundant? Perhaps a bit dangerous. I have been revising Sarah´s magnificent translation of The Iliac Crest and at times I have not been able to suppress the urge to change entire paragraphs, adding or deleting words more or less at will. Translators are avid and careful readers; they are co-creators of new work. Samantha Hunt is the author of Mr. Splitfoot, a ghost story. Her novel The Invention of Everything Else won the Bard Fiction Prize and was a finalist for the Orange Prize. Her novel The Seas won a National Book Foundation award for writers under 35. Hunt's writing has been published in The New Yorker, The New York Times, McSweeney's, A Public Space, Tin House, Cabinet, and a number of other fine publications. I think there’s a great temptation to sort of resist what it is you do naturally. I think digestion is another lurid, taboo subject -- particularly from the navel down. But even what goes on in the mouth is an unthinkable, revolting thing that no one wants to think about. There was a sense that this was right up my stinky little alley.